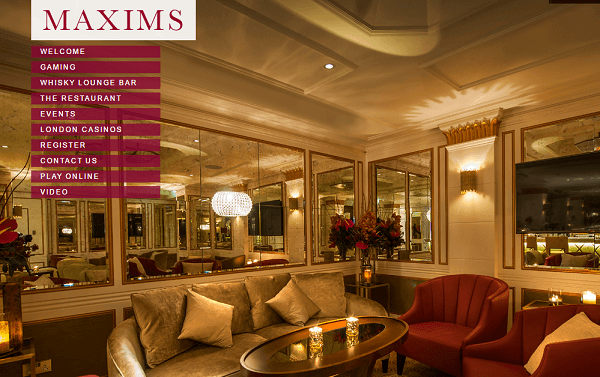 Situated at the heart of Kensington, Maxim's Casino is one of the finest and friendliest casinos in London which can welcome you with its luxurious delicacy and vibrancy. This is the perfect destination of the gamers who never hesitate to try their luck. The Maxim's Casino London is regarded as one of the best casinos as it is the visiting place of London’s rich and famous who are fond of the variety of games offered by this deluxe casino. Besides, the stylish and comfortable environment with high-end designs and interior can allure the visitors even if they don’t go for gambling. 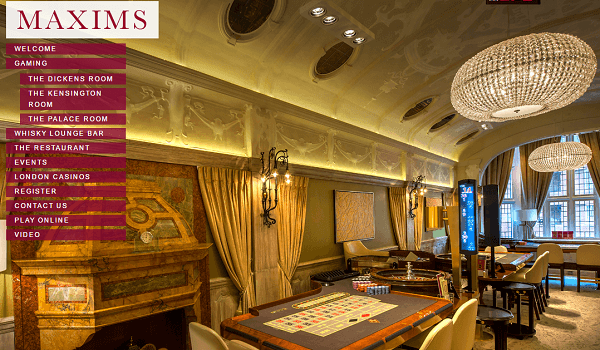 The Maxim's Casino will welcome gamers with its warm and airy atmosphere, Mayfair gaming, exceptional customer care, peerless cuisine and the trump card, the Maxim's Casino London’s special and finest whisky collection for the aristocrats. If Maxim's London is the queen bee, then Maxim's Casino Reading is definitely one of its suitable companions. Along with all the facilities of Maxim's London, this branch also offers its visitors something special. Dress Codes: Smart and casual. Caps and sports dresses are strictly prohibited. Membership Information: Gamers should be of 18 years or above. While a complete package of entertainment is the thing you want, Maxim's Casino Southend is your ultimate destination. Theme musical night at every Saturday. Restaurants: People enjoy the lip-smacking preparations while enjoying the sea views from the Equations Restaurant. Membership Information: No membership is required at this casino. Westcliff Casino Maxim's can boast about its superb gaming sensations and high rank service to serve the rich of the country. 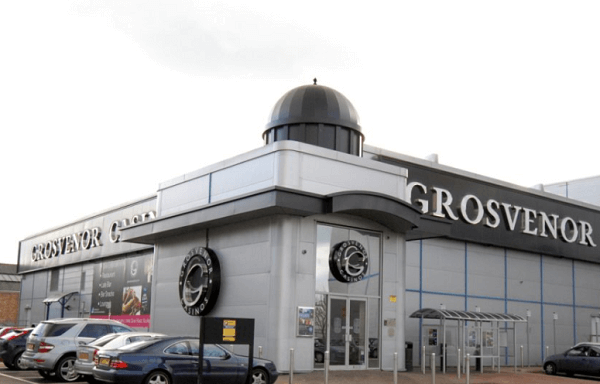 With its all assets of 20 gaming machines and 35 table and poker games, Westcliff Casino Maxim's can give tough competition to the plush casinos of Las Vegas. Opening Time: It is open for 24 hours every day. Anything smart and casual can be worn to enter into this casino. Any kind of sportswear like football shorts or shirts, vests, etc. are not allowed. A big no for any types of caps and hats. Restaurant: Having awesome dinner at La Carte Restaurant while enjoying the view of Thames is possible if someone visits this casino on weekends. Members should be of 18 years or above. While entering for the first time, members have to produce a photo ID to be allowed for a game. Registered members can bring their guests for one time only without producing their ID. With opening the door, the Maxim's Casino Southampton welcomes its visitors with all its luxury, facilities and comfortable environment. The interior of the building is eye-catching and the second story columns and the antique clock tower embellish the house. Poker (2 tables). For playing poker, gamers have to pay 5 pounds for an hour. Special Attractions: People who love to drink and try variety of drinks while gambling, Southampton Maxim's Casino is the place he heads to. People can also enjoy SKY Sports on the huge screen while sit in the comfort of the bar and enjoy exotic drinks. 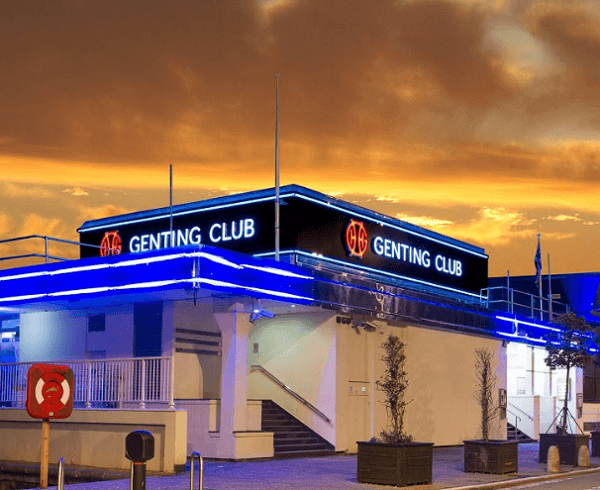 Membership Info: There are no special membership requirements at Southampton Maxim's Casino. So, it is quite clear that Maxim's Casino in England is one of the top establishments of the country where it serves excellent games within high-class atmosphere. These casinos are heaven for gamblers of the country and worldwide as they can earn as much money as they want and they face very little distraction here. Besides, trying your luck, you can enjoy the world famous cuisines to uplift your mood even you lose.